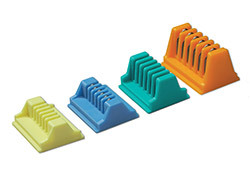 We offer a range of Hemosec Clip Applier which is a reusable instrument designed to deliver and close metallic ligating clips. This instrument is used with Hemosec Clips which are produced from titanium. The clips are designed for the ligation of tubular structures where a non absorbable ligating device is required. The ligating clips are placed around a tubular structure and closed by applying pressure to the handles of the applier. The Hemosec Clip Applier manufactured by us is a reusable instrument designed to deliver and close metallic ligating clips. 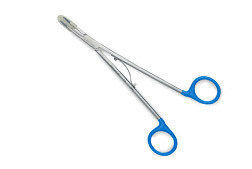 This instrument is combined with Hemosec Clips. The range is made from either 316 L stainless steel or titanium. The clips are designed for the ligation of tubular structures where a non absorbable ligating device is indicated. The ligating clips are positioned around a tubular structure and closed by applying pressure to the handles of the applier. We Design and develop Hemosec - Open Applier which is a reusable instrument designed to deliver and close metallic ligating clips. This open applier is used with Hemosec Clips which are either 316 L stainless steel or titanium. The applier has ergonomically designed handle that provides comfort and control. It has diamond shaped grooving for a traumatic secure ligation Triangular shaped wire for easy squeeze application. 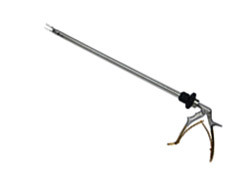 Clients can avail from us a comprehensive range of Hemosec – Laparoscopic Applier which is a 35cm long disposable cannulated applicator in a pack of 6. Device obturator allows for a precise FloSeal application to the base of the lesion. Handle ergonomics facilitate device manipulation. Cannula rigidity aids in device navigation and precise material delivery.